Figure 1. The two center safety pins with stamped numbers marked net bags in commercial laundries and were used to track individual orders. 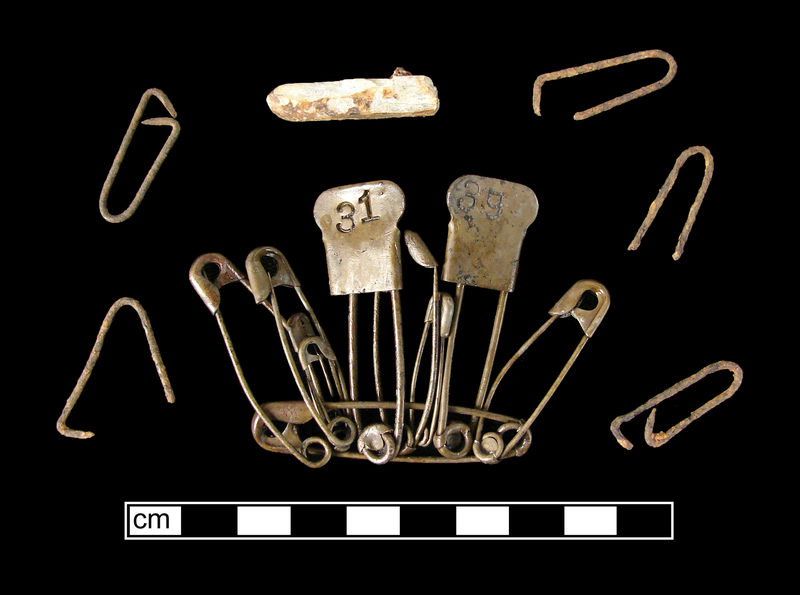 The smaller open pins surrounding the safety pins were probably used to pin paper tags on finished clothing. The object to the top center is a soapstone pencil, used to mark stains. 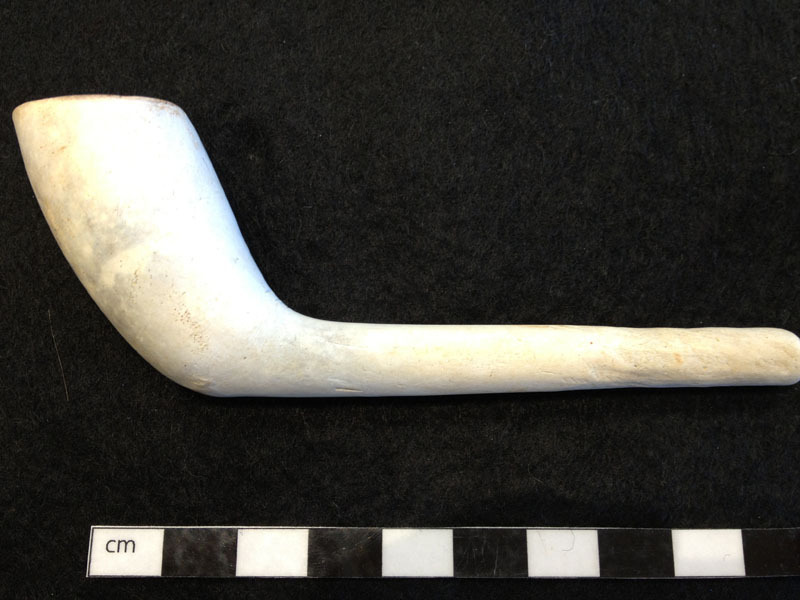 During the 1980 excavation of the Federal Reserve site (18BC27), archaeologists uncovered the remains of a stoneware drainpipe that was clogged during the 1920s with debris from a commercial laundry. 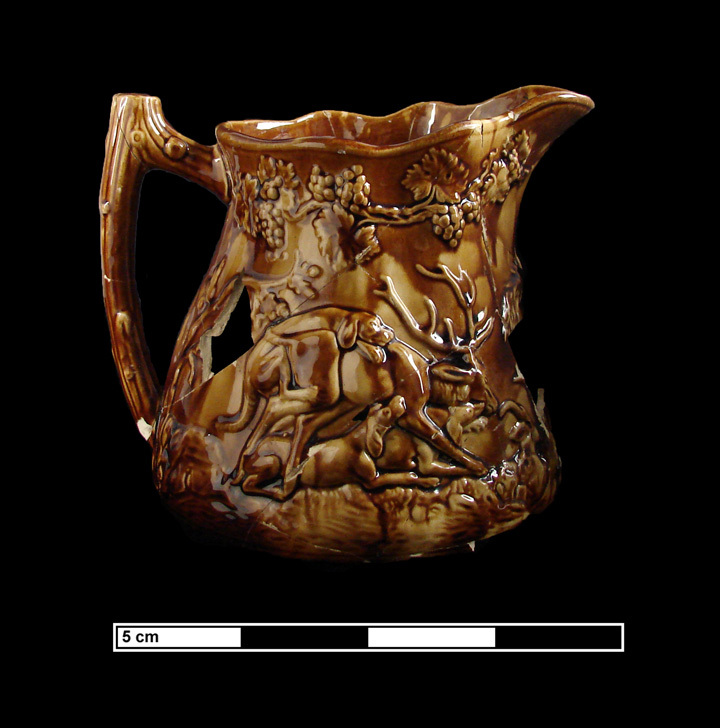 When the pipe was broken open by earthmoving equipment, it was found to have filled over time with artifacts set in a concreted matrix of iron corrosion. 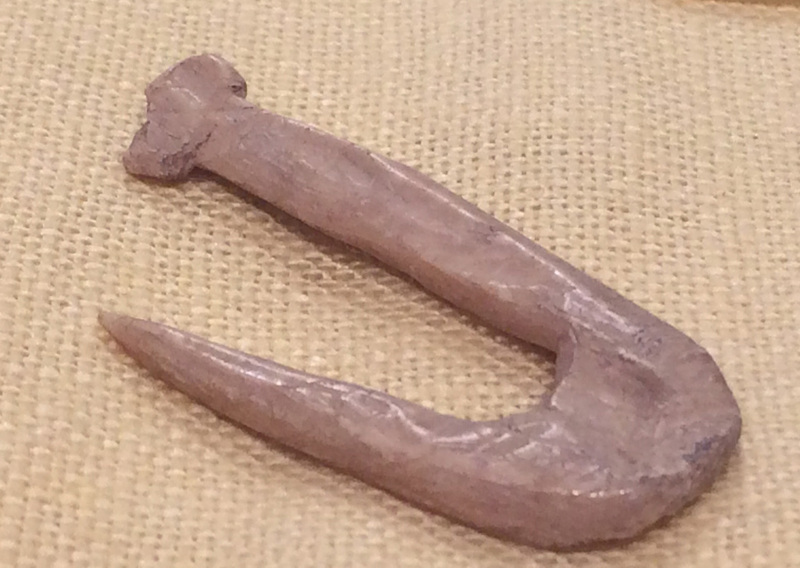 Among the artifacts recovered from the pipe were laundry bag net pins—the two odd looking safety pins with the stamped numbers seen in the photograph to the left. Since these large brass safety pins were rustproof, they could be attached to the net bags that separated individual orders in the washing machines. The solid flat heads were stamped with number designations that could be used to track bagged laundry to specific individuals. These pins are still being manufactured today for use in commercial laundries. They were just a few of the large number of commercial laundry-related artifacts found in the pipe. 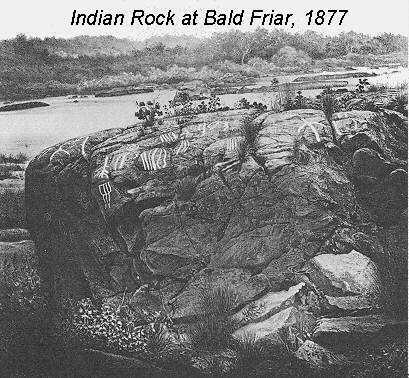 In this photograph, some of the petroglyphs can be clearly seen outlined in white (probably chalk).